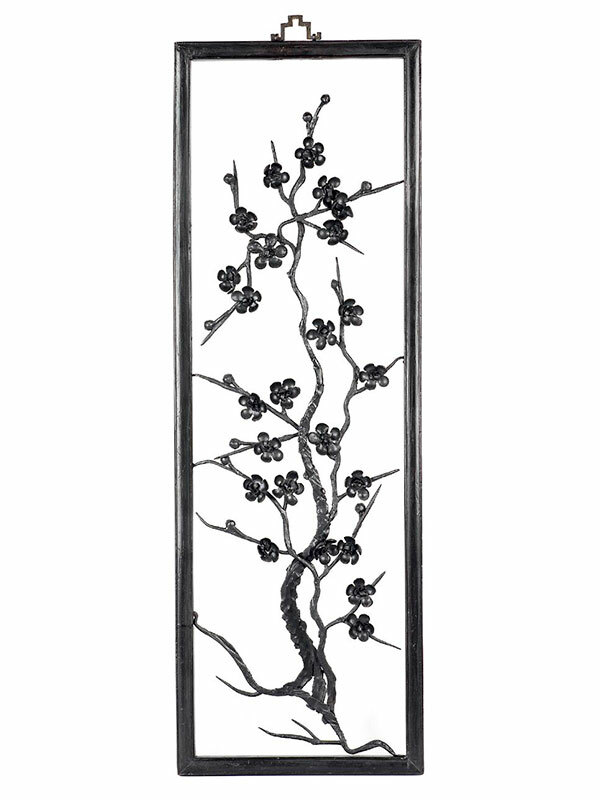 A set of four iron paintings, depicting respectively a gnarled branch of flowering prunus, orchid, strands of bamboo and chrysanthemums. 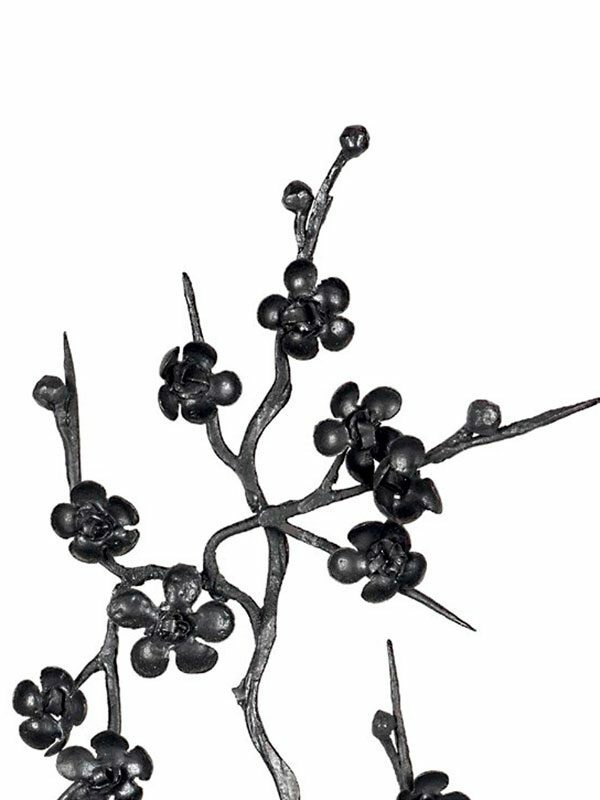 The delicately rendered plants are each composed of wrought iron elements, which are made individually and jointed together with bolts. 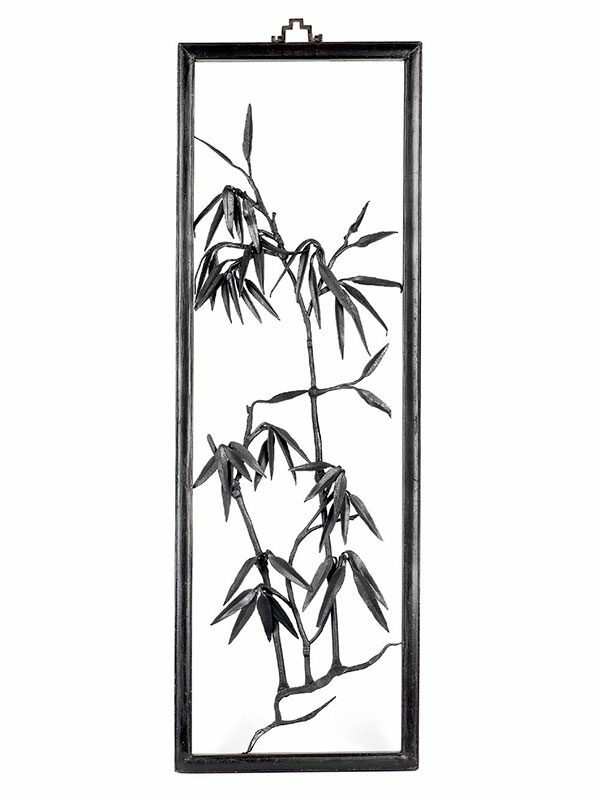 Each iron painting is contained within a hardwood frame with a ruyi-shaped handle. 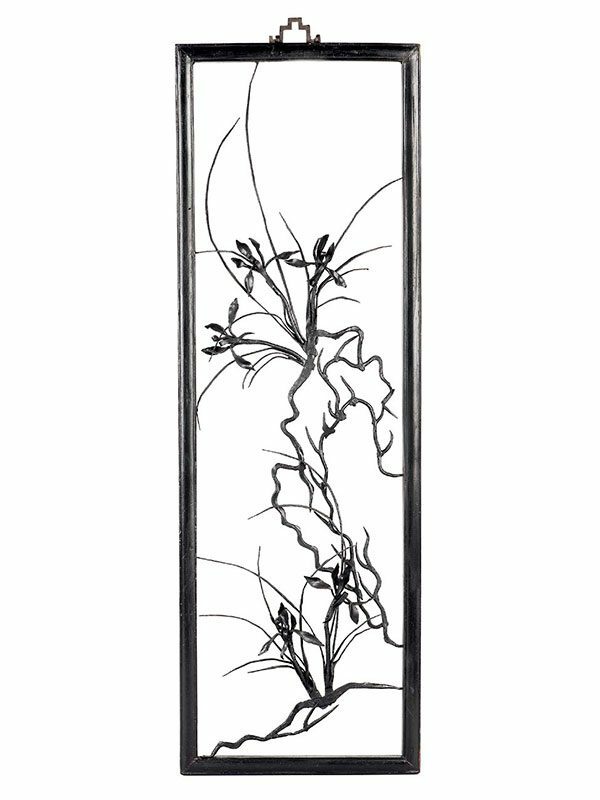 The combination of four types of flowers and plants representing the four seasons of the year, is also known as Sijunzi which means Four Gentlemen or Four Plants of Virtue. 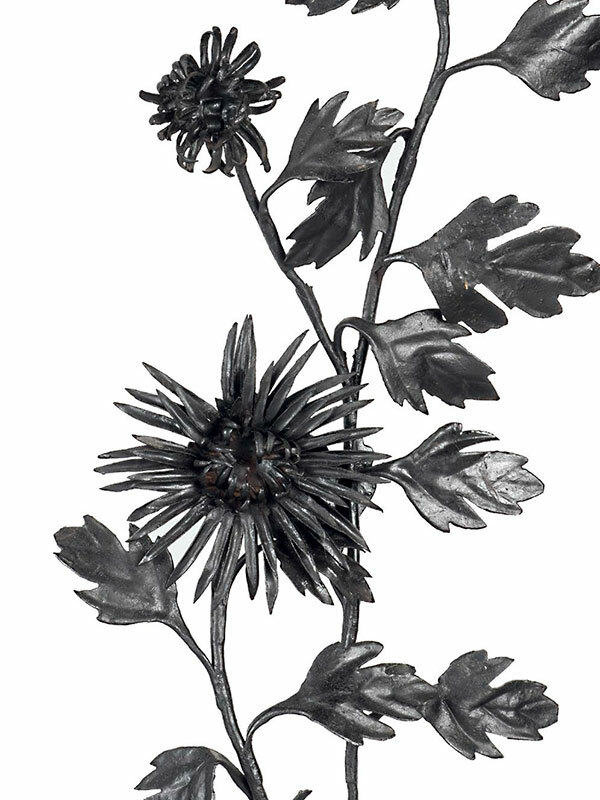 The technique of crafting iron paintings was derived from hammered iron candleholders in the shape of flowers made for Buddhist temples, which was further developed in the 17th century in Wuhu city of Anhui province; its name in Chinese tiehua literally translates as ‘iron flowers’. The invention of tiehua is attributed to a Wuhu blacksmith, Tang Peng (also known as Tang Tienchi, 1644 – 1722), who was inspired by Chinese ink paintings depicting landscapes painted by Xiao Yun-Cong (1596 – 1673). It was not until the 18th century that the art of tiehua was first noticed by scholars in Beijing, who started to laud its beauty in poems. 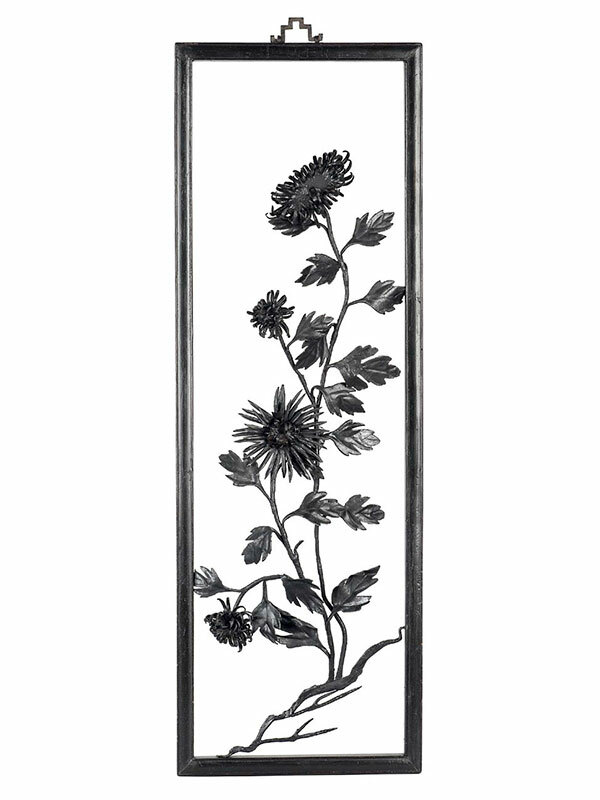 A set of four 18th century iron paintings representing the seasons is in the collection of the British Museum, one of which, depicting chrysanthemums, is illustrated by Jenyns. A comparable set of four iron paintings dated to the 17th century was included in the exhibition, The Chinese Scholar’s Studio: Artistic Life in the Late Ming Period at the Shanghai Museum in 1987.